first was the graduate. i must admit i was sort of excited to see them play because the last time i've seen these guys play was at a little church in Arlington Heights, over a year ago. their set list consisted of songs from their new cd "Anhedonia" (GET ON THAT NOW!!!) and from their ep "Horror Show". let me say that these guys put on a good live performance. one thing that suprised me is that they did not use any samples. when bands like panic! at the disco and gym class heroes first started playing live, they used keyboard and synth samples. the graduate being so young and new, i would think they would too, but instead they incompess it into their live show with songs like "Interlude" and "Sit and Sink" they play all the parts themselves. another cool thing they did was a drumline kind of thing where the lead singer and guitar player banged on the drums during the last song "The Formula". from seeing this band in front of about 60 kids, to seeing them in front of about 2000, i can say this band is going to be one off the hottest bands in this genre in the year 2007/2008. 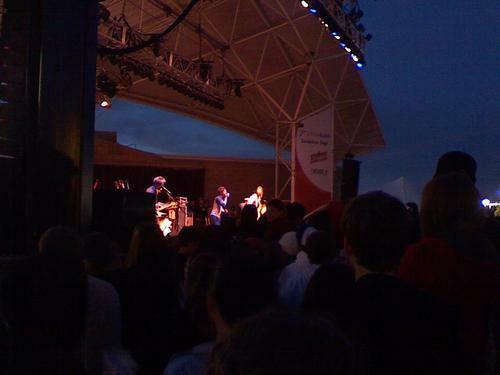 next up was the headliners, jack's mannequin. looking out into the crowd i must say there must have been around 7-8000 people watching his set. 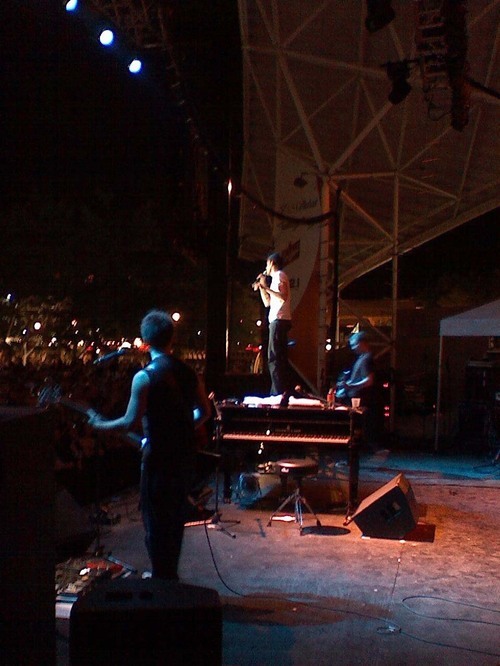 jack's mannequin is probably one of those bands that have half their fanbase because of previous projects i.e. something corporate. i, myself, am not one of those people. i never really enjoyed something corporate that much and was shockingly suprised at how much i grew to like jack's mannequin. 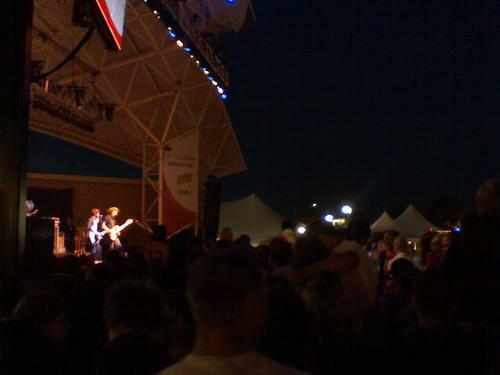 with that being said these guys were able to capture all 7-8000 people in the crowd. jack's started their set off a little different than anyone else. 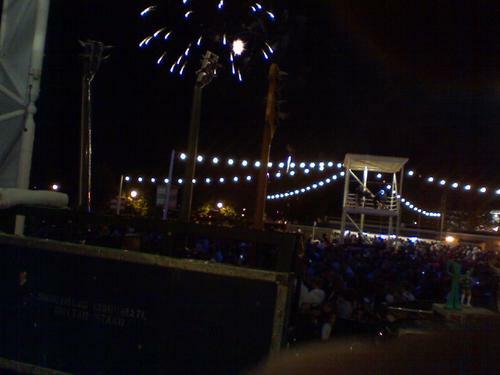 most headliners these days, come out on stage to a song playing on the speakers, that pumps up the crowd. jack's instead came out to their own song, "Holiday from Real". after the first verse, the band came out to finish the rest of the song and that started the show. 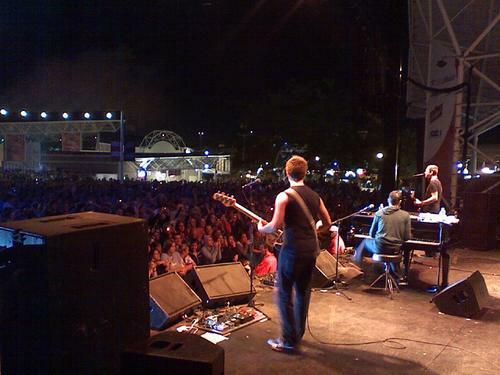 during their set a malfunction occured with the piano and instead of jack's stopping the show to fix the problem, they continuted the show, playing a popular something corporate song "The Astronaut" while the techs tried to fix the problem. 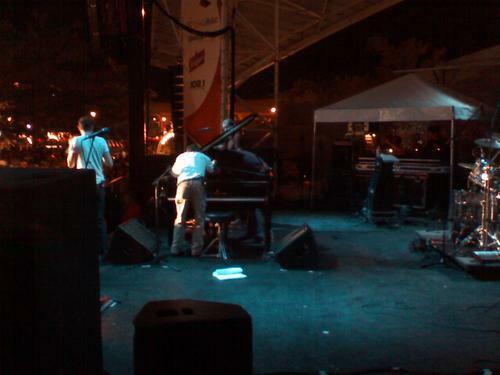 the techs were not able to fix the bad feedback coming from the piano, but they continued on with their set. 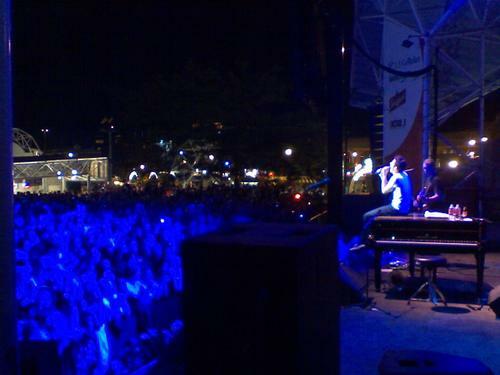 on their last song of the night, the band broke out into a little jam session with andrew mcmahon dancing around. all in all, the set was a very entertaining one and one that i would expect out of jack's mannequin and their vetern lead singer/showman andrew mcmahon. Nice review Gene! Maybe we can meet up for one of our Billboard assignments!